The gospel should be offensive, not your church members or your lackadaisical hospitality ministry. Your hospitality ministry in the church is one of the most important factors in the experience of first time visitors that will influence their personal decision to come back to your church. 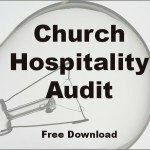 The original Church Hospitality Assessment was released February 2007 and has been downloaded over 2100 times. Use this church hospitality survey form as part of your regular church hospitality review. This will to help you evaluate how welcoming or visitor friendly your church is. ___ Is your church’s name easy to read from the road? ___ Is it easy to tell which entrance to use for the church office? ___ Does the exterior and overall appearance of your church look well maintained and attractive? ___ Are the restrooms all clean? ___ Are all rooms in the church clearly marked? ___ Are there stacks of old bulletins, old magazines, or out-of-date church brochures which should be discarded? ___ Are the bulletin boards current? ___ Do you have adequate lighting in hallways, classrooms, and the worship center? ___ Are the rooms for infants and toddlers both attractive and clean? ___ Are large print bulletins available? ___ Do you have greeters positioned at the entrances to the church? ___ Are members of your church prepared to extend brunch or dinner invitations to your guests? 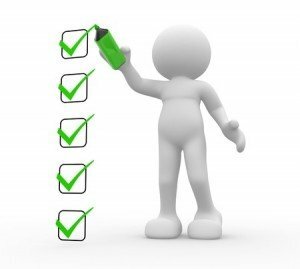 There are 9 pages of questions like this free 14 page download report. If you have found this tool helpful, I’d appreciate hearing about. 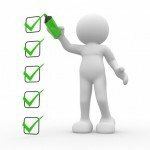 Would you write me an email and tell me what results came out of your audit?